As professional shippers of fine art and antiques, Fine Art Shippers has a wide network of reliable partners all over the world, which allows us to successfully operate not only within the United States but also globally. For example, not so long ago, we formed a strategic alliance with Eric Art Services, one of the best art logistics companies in China, thus expanding our art packing and shipping services to Asian countries. 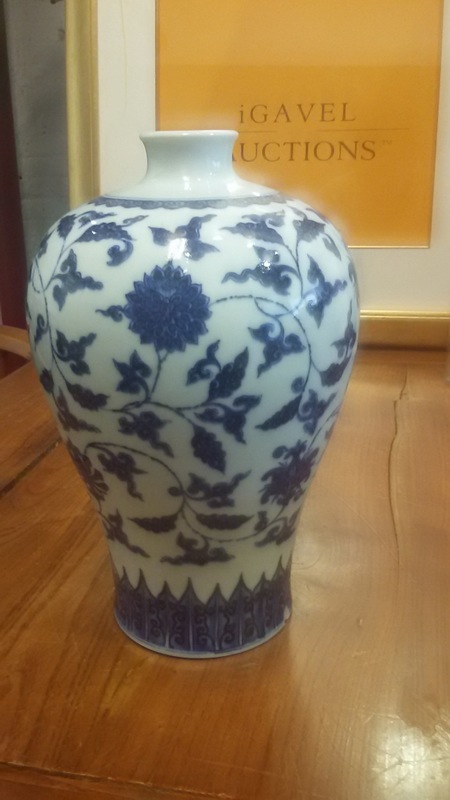 It is also impossible not to mention that this collaboration is very important to Fine Art Shippers because we frequently ship art and antiques for Chinese collectors who purchase various items from American auction houses and galleries. 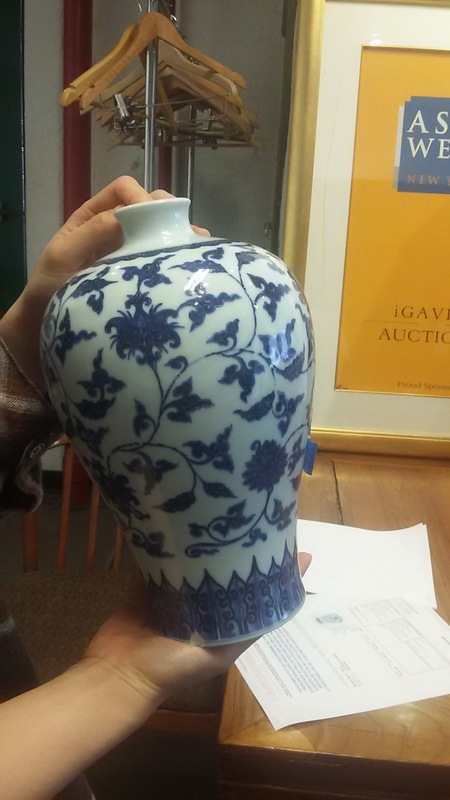 This is particularly true for iGavel Auctions that has long been known as one of the best auction service providers specializing in Asian art. At Fine Art Shippers, we are very proud and truly honored to be working with iGavel Auctions, a reputable online auction site dedicated to selling art, antiques, and other valuables offered by dealers, appraisers, and other art business professionals. 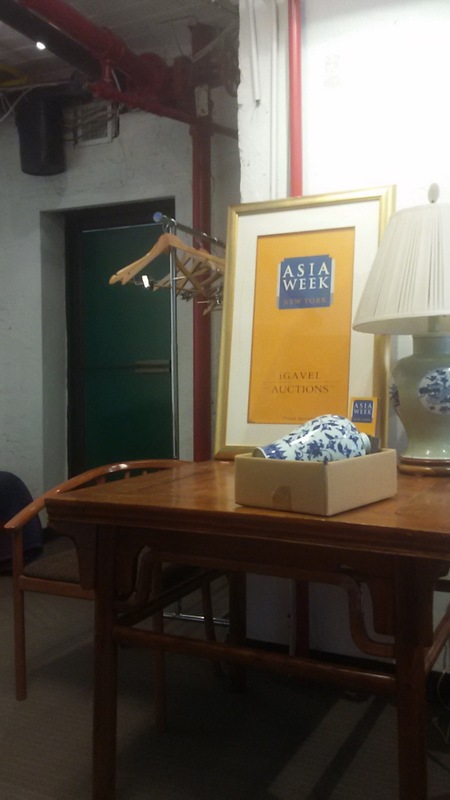 Packing and shipping items for this unique auction house is always a pleasure for our team, especially when it comes to rare and very special pieces of Asian art. 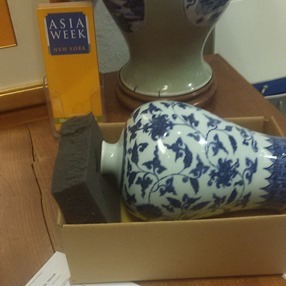 For instance, Fine Art Shippers was lucky to ship a museum-quality terracotta horse dating to the Tang dynasty and also a really amazing and highly fragile Chinese vase sold right during Asia Week in New York City. 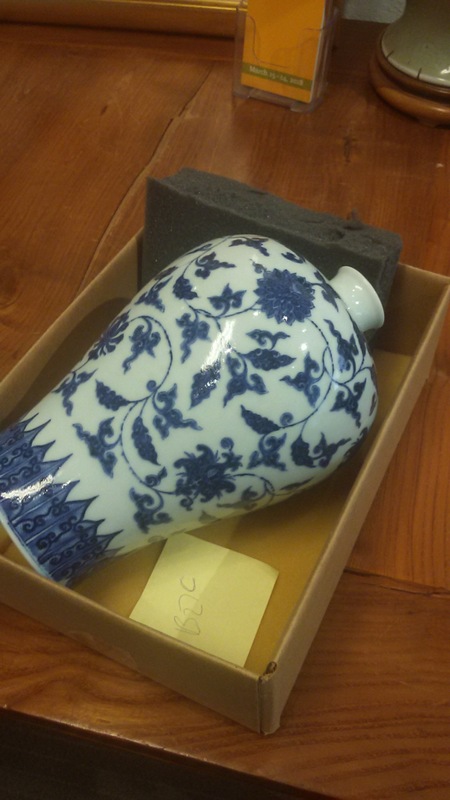 Here are several photos taken before packing and shipping this valuable antique vase. Each art mover on our team is an experienced art handler proficient in packing and shipping art and antiques. Moreover, we know how to ship paintings, sculptures, antique furniture, musical instruments, and other items of any size and weight. Besides, we provide custom crating services in-house to ensure that every single piece is properly protected during the move. You can rely on Fine Art Shippers to pack and ship even multi-million dollar items that require special handling and care in transit. What is no less important, we offer all our services at reasonable prices and never overcharge our clients, working clear with no hidden fees. If you have any questions regarding our national or international packing and shipping services, please do not hesitate to contact our team for a consultation! Plus, you can also request a free quote right from this website at any time!